About - Brittney B.: Brittney Bach's experience in creative writing dates back to the time she was a little girl. She used it as an escape; a chance to create her own world and disappear from the real one. Brittney has received and accomplished several fantastic opportunities as a result of her writings and expertise in narrative stories. She represented her entire school in the statewide Georgia Spelling Bee. She won several literary certificates from schools such as Wesleyan and Michigan State in areas such as Script Writing and Creative Narrative Writing. Brittney attends the Savannah School of Art and Design for continuing education in areas such as film, visual effects, and illustration, taking her status to a Master's Degree professional. 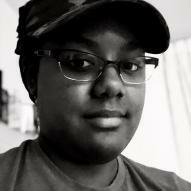 In the gaming industry, she enjoys writing about the story behind the story - as story-based games are her favorite. She is an expert in detailed stories that each have a beginning, middle, and end. Her favorite thing about game writing is the chance to share the history and tales that other's might not notice in between the gunplay and apocalyptic settings.